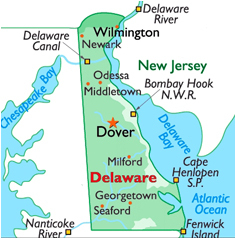 Use the search, map, or area links below (scroll down) to find help where you live in Delaware. Although this area is temporarily without a member to assist you we can still help you with any concerns you may have. We can also put you in contact with various elder care services in New Castle and Kent Counties. Click here to Request Assistance from the Delaware Care Planning Council. Milford, Seaford, Georgetown, Laurel, Lewes, Millsboro, Milton, Selbyville, Long Neck, Rehoboth Beach, and surrounding areas. Although this area is temporarily without a member to assist you we can still help you with any concerns you may have. We can also put you in contact with various elder care services in Sussex County. Click here to Request Assistance from the Delaware Care Planning Council. Many seniors who want to remain in their homes find it difficult because of a lack of transportation in Delaware or because of the necessity of maintaining the home and the yard and being unable to do so.